Why Obamacare is the Biggest Fraud in American History & Was Designed to Be Exactly That! When we look at the markets and try to ascertain the long-term direction, we must look at politics closely, for this holds the key. First, this is a Private Wave and that means the confidence in government is collapsing. Hence, the question for the direction of stocks, gold, interest rates, and the world economy, all hinges on how fast the perception of government collapsed on a global scale. Both sides of the aisle are corrupt and rotten to the core. Republican or Democrat, they are all in this for what they personally can grab and they are incapable of doing anything right for society because power corrupts. It was the Democrats who came up with the Social Security scheme and designed it to be exactly as a fraud that anyone in the private sector would do to jail for. 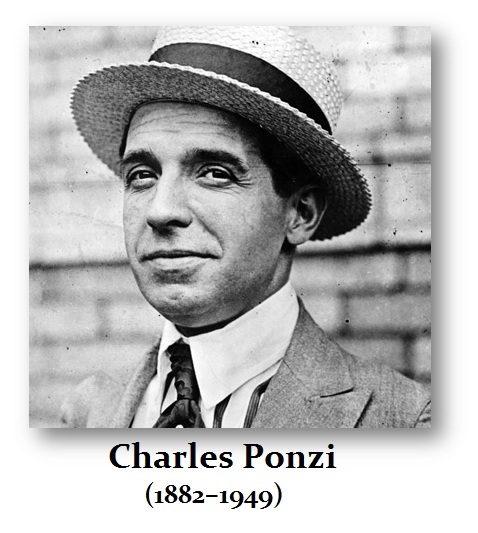 They used the Ponzi Scheme model where you take money from one person and pay another so they think they have a profit and more and more people come to invest. Here they would impose a tax upon the younger generation to pay for the older generation while telling people they were paying into a retirement fund. Of course, Congress used the money to fund spending for other things and stuffed the fund with government bonds preventing it from ever investing. Nancy Pelosi, one of the most vile corrupt Democrats in the party, actually said: “The Republican bill is one of the largest transfers of wealth from working families to the richest people in our country — Robin Hood in reverse.” Nancy Pelosi always bashes the “rich” when in fact she is constantly involved in money schemes and scandals with her husband. The scandals with Pelosi over money have been numerous. Her and her husband just walk on water and fill their pockets, for there is never enough for them. They have become notorious in real estate deals and install people in high places to get personal gains. They have been involved in insider trading in stock deals. She has steered projects in which she had a personal undisclosed interest. Her greed and scandals are endless, and many people in California want to secede from the United States because of Trump, yet they keep sending corrupt people to Washington like Nancy Pelosi and Diane Feinstein. Even some of the delusional people in Silicon Valley urged to secede after Trump won. Pelosi may be one of the most corrupt politicians in the Democrats after the Clintons. Her comment that the Republicans are proposing “one of the largest transfers of wealth from working families to the richest people in our country” is just amazingly so dishonest. The very design of everything the Democrats have set up has been based upon a transfer of wealth from one generation to another. The structural design of Obamacare is another Ponzi Scheme. It was the Clintons who denied the youth the right to bankruptcy on student loans to support bankers who said they had no collateral. Then the bankers demanded parents still cosign for a loan and then they had their house and bankruptcy was eliminated. Even if students died, many bankers still demanded money from the parents. This is what the Democrats did for student loans – the greatest transfer of wealth from students to the bankers in history. 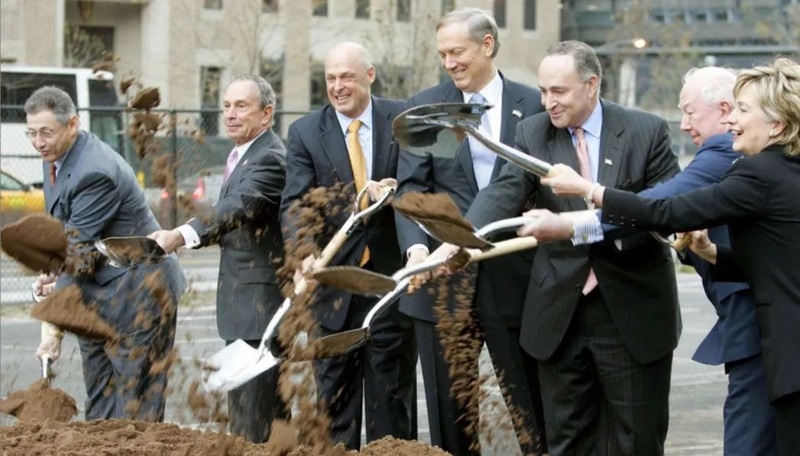 Chuck Schumer and Hillary along with Bloomberg were all there to start the new Goldman Sachs building. The Democrats have screwed the youth once again with Obamacare. Their criticism of the Republican fix is that older people will have to pay more. Why? Because Obamacare forced the youth to buy insurance they did not need. This is the greatest transfer of wealth from the younger generation into the pockets of insurance companies (not the rich) who lobby and give Pelosi money. Insurance company PACs always donate directly to Pelosi. Here is a list of the Insurance companies donating to the Democrats to keep Obamacare rolling and Starr Insurance is at the top. There is no money going to the “rich”; it goes to insurance companies. My personal insurance doubled as did my deductible and then I have coverage for young children I do not have but it’s there by law and I have to pay for it. The joke has become that you can just walk into a bar and tell the girls to line up, no worries, you are covered for unlimited maternity leave and children and there is no marriage requirement or age limit. That may be the only way to get your money’s worth out of Obamacare! Of course I suppose I could just adopt all the children in some community and they would all be covered as well. What if I donated enough money and got Pelosi to create a scheme where everyone has to have terrorist insurance by law. You all have to pay me $15 a month for life. I would make $4.5 billion a year, could give her $1 billion, and we are all rolling in the money except you with no risk of having to pay a claim. If there is a claim, just file for bankruptcy. Isn’t this Obamacare? The youth must buy insurance they do not need. I have insurance I must pay for, for children I do not have. All of this is supposed to cover people who cannot get insurance otherwise? Just put them on Medicaid and call it a day! Why trust insurance companies at all? I have NEVER in my entire life ever had a claim actually honored by any insurance company. They are all a FRAUD – period! The scheme is always the same – take from one generation to pay another. The problem is, they keep piling more and more on top of the youth, who more than 60% cannot find a job with the bogus degree they are now indebted with, and their standard of living is the lowest of any generation to date. They cannot see the long-term damage they are doing and of course mainstream media support the Democrats without any honest analysis.